In case you’re scratching your head wondering what on earth a PFD is, let’s clear that up for you right away. Personal Floatation Device (PFD), or popularly known as a life jacket/life vest. So, why did I use a fancy term instead of just saying life jacket. Well, for one, I wanted to sound professional, and two, I want you to know the technical terms as well. That just adds a halo of cool when you step out on the beach. Now everyone wants to have fun in the water with their paddleboards, but that should not come at the cost of your safety. The PFD ensures that you remain protected from scenarios that could cause a drowning incident. 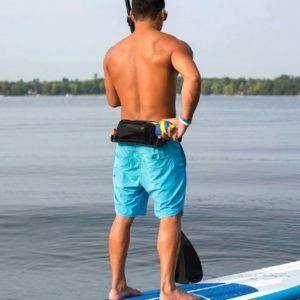 Inflatable Belt Packs are the most convenient kind of PFDs for paddle boarders and definitely what I’d recommend 99% of the time. They are super convenient since it’s literally just a belt you wear around your hips, meaning you will have maximum freedom of movement. They can usually be inflated by pulling a rip cord and will inflate in just seconds. This kind of PFD is perfect for anyone that wants a bit of extra security when out on the water. Btw they usually have a small storage compartment for a water bottle. The belt pack I personally use is the MTI Adventurewear Fluid 2. It’s not the cheapest option out there but definitely one I can fully recommend. Among the three types, inflatable belt packs are best suited for paddle-boarders. They are lightweight and offer a complete range of movement. You may even forget you are wearing them after a bit. Floatation aids are perfect for conditions where a quick rescue is possible. A wearer can turn themselves and be in the face-up position until they receive assistance. It’s the next step up from the Belt Packs and something you can also use for water skiing or wakeboarding. You will find a variety of floatation aids. I recommend the Coleman floatation vest. It comes with a neoprene design that encourages maximum movement and sculpted back for extra support. You can find a variety of life jackets and PFDs specifically designed for water sports here. 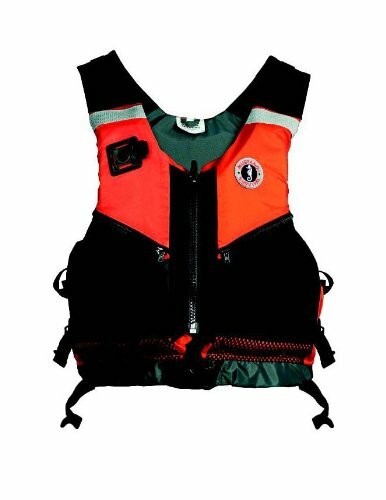 These life vests are ideal if you are in and around calm, inland waters where a quick rescue can take place. They are less bulky than their Offshore cousins and less buoyant as well. They are definitely not made for casual paddlers though. This is definitely not something you will need on a nearby lake. A nearshore vest that I recommend is Mustang Near Shore Water Rescue. It provides 15.5 pounds of buoyancy and has short cut waist for mobility. These are like the titans of the PFD world. All strong, sturdy, rough and tough. If you are planning to hit rough waters or a remote water body, then this is the thing you need. They have one of the best buoyancy rates and can turn around even heavy-set bodies to face air. This is vital because rescue operations may take a bit of time in the conditions. Offshore life jackets are available in bright colors, for easy identification. One of the Offshore life jackets I recommend is the Kent Commercial Type I. It has a high buoyancy rate and will definitely keep you afloat for a long period of time even in rough water. Before I get into the various kinds of PFDs/life jackets, I wish to highlight one of the most important factors: selecting the right PFD size. And believe me, the right size matters. The selection criteria are different for men, women, and children. Chest size, and not body weight, is the main criteria for men. 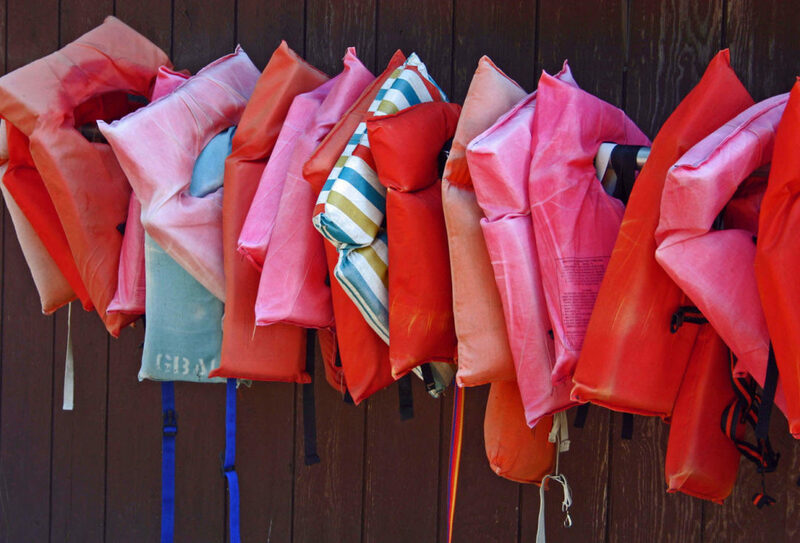 For the children, their body weight decides the PFD size. Women have a variety of options but should choose female-styled PFDs over the unisex variety. The former offers a better fit. You know you have selected the right size when the PDF allows you to move with freedom while sticking close to your body. There should be no chaffing. One of the more environment-conscious materials, Gaia is a foam based on an organic chemical compound. The material is softer than the usual foam and is adept at resisting heat as well as cold. 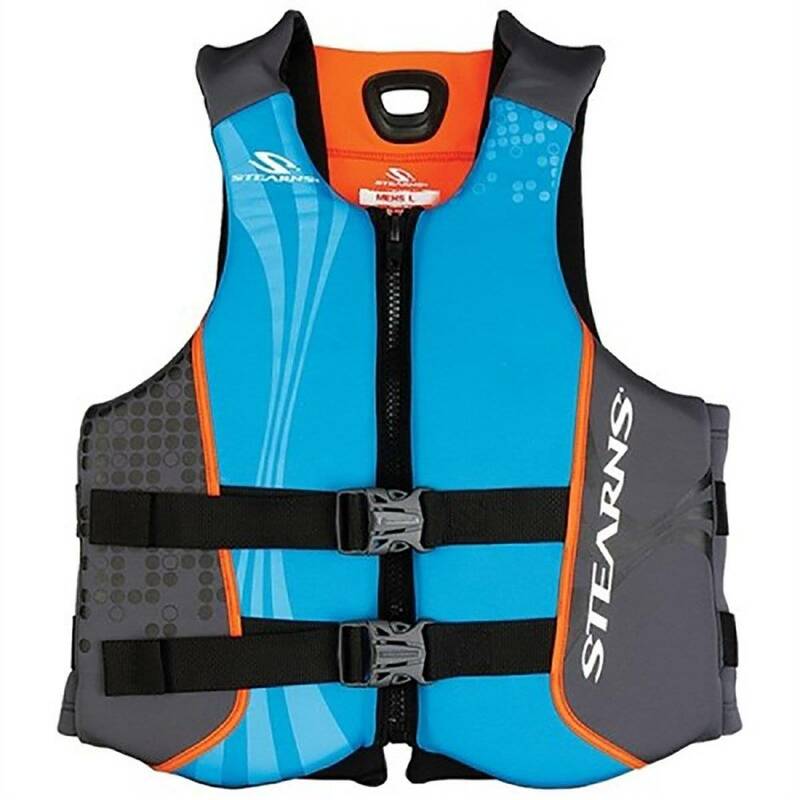 The biggest plus is its low density that reduces the PFD weight without affecting performance. This is an all-natural material, derived from the fiber that surrounds the kapok tree. The material scores on three fronts – its resilient, lightweight, and buoyant. Kapok also outperforms foam in durability and keeping out water. Your everyday foam and one of the most commonly used materials in PFDs. Its inexpensive nature and durability have led to its popularity. The more eco-conscious may want to avoid this material because it contains oil and chlorine. I like to conclude by providing a quick, easy, step-by-step guide on how to wear your PFD just right. Ensure all straps are loosened before you wear the PFD and zip up. Start with the straps around your waist, tightening them to your comfort, and work towards your chest and shoulders. Next, the shoulders of the PFD should be pulled to check the fit. It should not move up too much. Move your arms and upper body to check whether the life jacket is not too tight. If possible, test the PFD in a pool or shallow body of water before you use it for the first time. If you prefer a video explaining how to fit your PFDs I’ve got one for you below. That’s all folks. Stay safe.